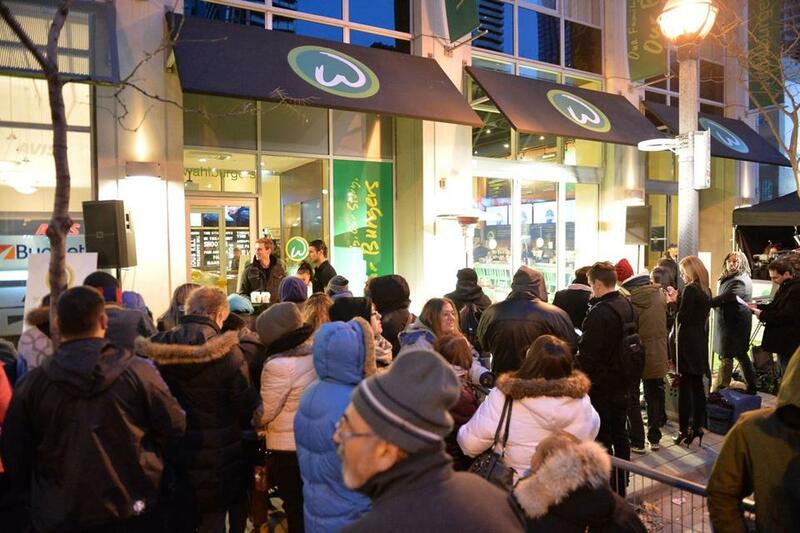 Crowds lined up for the opening of the Wahlburgers in Toronto at the Soho Metropolitan Hotel in November. Paul Wahlberg has dreamed of owning a restaurant almost since he started out washing dishes on Canal Street in the early 1980s, but the chef couldn’t have imagined something this big. 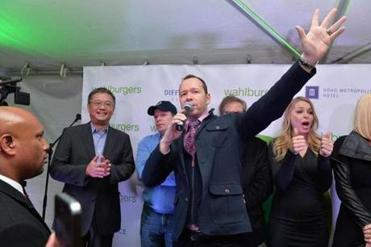 Wahlburgers, the restaurant company he owns with his celebrity brothers Mark and Donnie, will on Thursday unveil plans to open 27 more locations. The major expansion comes just three years after the first Wahlburgers restaurant opened in Hingham and follows deals for three in Las Vegas and five in the Philadelphia area. 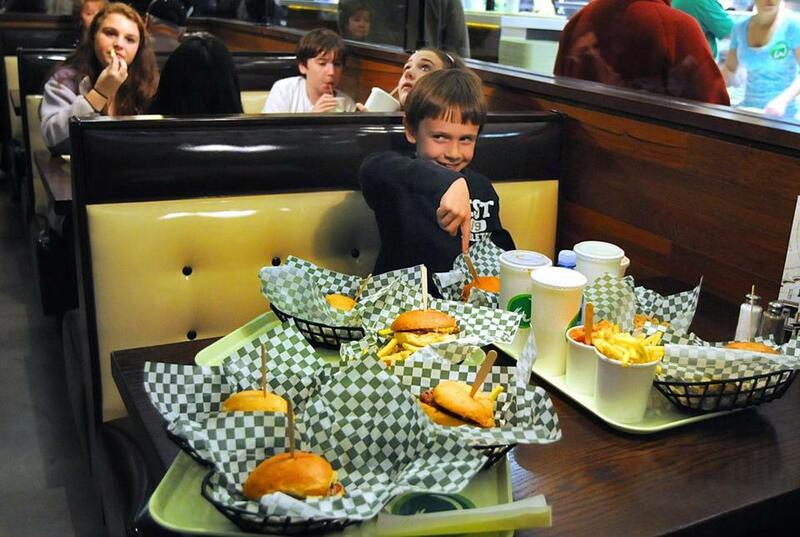 A Toronto restaurant — the second Wahlburgers — drew huge crowds to a grand opening last month. 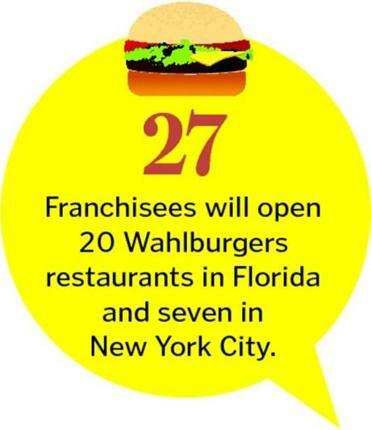 The new franchise agreements include 20 locations in Florida and seven in New York City. But Massachusetts isn’t being left out of the growth spurt — the Wahlbergs are getting ready to open their second and third Boston-area Wahlburgers restaurants, in Lynnfield and the Fenway. Eventually, the brothers say, there could be up to 300 across the country. Unlike other restaurant chains, this one’s growing pains are playing out in front of a TV camera. A&E’s reality show, “Wahlburgers,” has featured the business in 18 episodes so far. The show brings people to the burger joints. But it also elevates the stage on which Paul Wahlberg works, putting more pressure on him to send customers away satisfied. Three years after the first location opened in Hingham, the restaurant company is set to unveil plans to open 27 more locations. The route to becoming a national chain can be traced to a meeting Mark Wahlberg had with Rick Vanzura, a former cochief operating officer at Panera Bread, soon after the Hingham shop opened. Vanzura was brought on board in 2012, first as a consultant and then as the company’s chief executive, with the charge to chart an expansion plan. Vanzura works at an office across the street from the redeveloped Hingham Shipyard — the home of the first Wahlburgers and Alma Nove, a restaurant the brothers opened in 2010. Aside from Vanzura and Paul Wahlberg, the corporate staff now consists of just one other person. Vanzura anticipates a few more hires in 2015 and a more meaningful increase in 2016 as restaurants open. The A&E show generated interest among potential franchisees. But most of the inquiries don’t make it far: Vanzura says he only considers operators with considerable restaurant experience and a net worth of at least $5 million. The Toronto operators — including hotelier Henry Wu and investor Michael Wekerle — had a relationship with the Wahlbergs as investors in Hingham. Wu says he’s also investing in the Fenway and Lynnfield locations. He says he was attracted to the concept’s unusual mix of sit-down service on one side of the room, with alcohol, and fast-casual service on the other. His team plans to open several more in Canada, likely starting in Ontario. Wu says the 120-seat restaurant in downtown Toronto already has exceeded expectations: The tables turn at least three times every dinner period and up to six times on busy nights. In Florida, franchisee Manny Garcia was introduced to the Wahlbergs through Orlando venture capital firm Blackwood Holdings. Garcia, a former Burger King franchisee who sold his 67 BK shops in the 1990s, established Davgar Holdings to oversee his family’s three restaurants in the Orlando area. Davgar’s restaurants will include the Wahlburgers locations in Florida. Garcia says that by the time he got involved, he had already seen the TV series. He saw a kindred spirit in Paul — someone with a passion for the restaurant business. The first Florida Wahlburgers will likely be on his home turf in the Orlando area, and he says he will scout for locations in Miami and Tampa, with Blackwood providing a major equity investment. Like many restaurants, the Wahlburgers shops don’t always open on their original timetables. The brothers hoped they could open the location on Brookline Avenue in the Fenway — which, like the Hingham spot, will be in a Samuels & Associates development — in time for opening day at Fenway Park next year. Now, they’re aiming for the summer. Wahlburgers is looking to expand its restaurants brand beyond its first shop in Hingham.